The Rainbow Warrior was Greenpeace’s flagship. On its way to protest France’s nuclear testing on the Mururoa Atoll when it was sunk by French saboteurs on July 10, 1985, in Auckland Harbour. The former Navy Frigate HMNZS Canterbury F421 now rests in Deep Water Cove near Cape Brett. Upright and intact, she makes for an impressive sight. This is a great dive location year-round. Bay of Islands is home to beautiful reefs and protected marine reserves. There is a large diversity of marine life that makes the Bay of Islands home all year round. We also see many species that pass through seasonally. Paihia’s Reef Diving is stunning any time of year. Whether you want to dive with us in the beautiful Bay of Islands, or in any of the world’s other amazing dive locations, your PADI Open Water certification is the ticket you need. With courses to suit all levels of dive experience Paihia Dive will be able to help you achieve your diving goals. PADI Five Star Dive Centers are progressive dive shops that provide a full range of PADI scuba diving education programs, equipment selection and experience opportunities, while encouraging aquatic environmental responsibility. Try out scuba diving for the first time. An instructor will walk you through every step and guide you through diving the reef sites of the Bay of Islands. If you want to learn to dive, then this is the course for you. The Padi Open Water Course takes 4 days. 2 days of theory and pool work, then 2 days of diving. You will then be certified to dive to 18m. The PADI Advanced Open Water Course is the next step in your diving career. The course consists of 5 dives and with us will see you diving the Rainbow Warrior and Canterbury wrecks. The Padi Rescue Course will teach you to assist other divers and help prevent problems before they start. It will also refine your self rescue skills. It is the next step in your dive career after the Advanced Course. The PADI Specialty Courses help to broaden your underwater horizons. 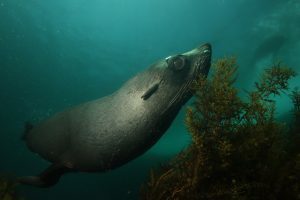 The courses consists of 2 or 4 dives and with us will see you diving the Rainbow Warrior and/or the Canterbury wrecks. The PADI Divemaster course is your first step into the professional world of diving. Our Divemaster course is run as an internship, this gives you the chance to work with real customers in a busy dive centre. You don’t need a dive license to enjoy the reefs and marine life in the Bay of Islands. Snorkelers are always welcome to join us on the boat. The marine reserves in the BOI makes this a snorkelers paradise. "I had such an amazing day diving with this company! Ben was especially good at easing any nerves I had and ensuring I had an amazing diving experience. The shipwreck was absolutely phenomenal. I must do activity for any divers! The sea life and views are out of this world!" Paihia Dive in the Bay of Islands is the Far North of New Zealand’s best little dive centre and it’s our great pleasure to show you all the underwater wonders of this beautiful part of NZ. We offer scuba diving trips to the spectacular Rainbow Warrior aboard our fully equipped dive RIB ‘Aka Maru’, which takes only 8 minutes from the shore to reach the dive site. Whether you want to explore the wonders of the underwater world for the first time or you want to launch an exciting career in the dive industry, we will help you realize those dreams. This is arguably the best diving in New Zealand!